How we have 'dressed' our products since 1884. Our packaging for general merchandise spans across the last century. 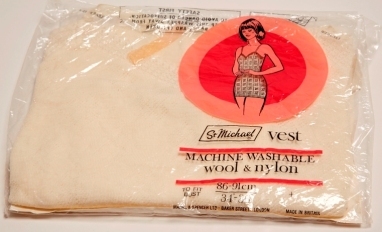 Included in the collection are examples of original and sample packaging boxes, labels, tags, paper bags, and film packaging for products from lingerie to shirts, curtains to blankets. It is often easy to discard packaging; however, our collection reflects changing styles and designs, and our evolving marketing and branding.